It’s that time of year when we dream of new life. Tulips breaking the ground, their faces to the sun. Seeds bursting open with tender roots and delicate shoots. Tiny blades of grass finding their way through last year’s thatch. That bane of man’s existence. That symbol of status or flag of defeat. If you are in the first group, bless your little heart. Although pervasive, they are pretty. If you are in the second group, I’m guessing you’re stocking up on herbicides as we speak. I’ve stopped buying herbicides and fertilizers. I buy compost and grass seed. I rarely water. I’m gradually planting the yard with flowers and shrubs that need little care, and adding raised gardens. Fresh vegetables eaten right out of the garden? Now there’s a symbol of status for you. Ideally, I’d like to have just enough grass to sink my toes into while I sip a glass of wine. 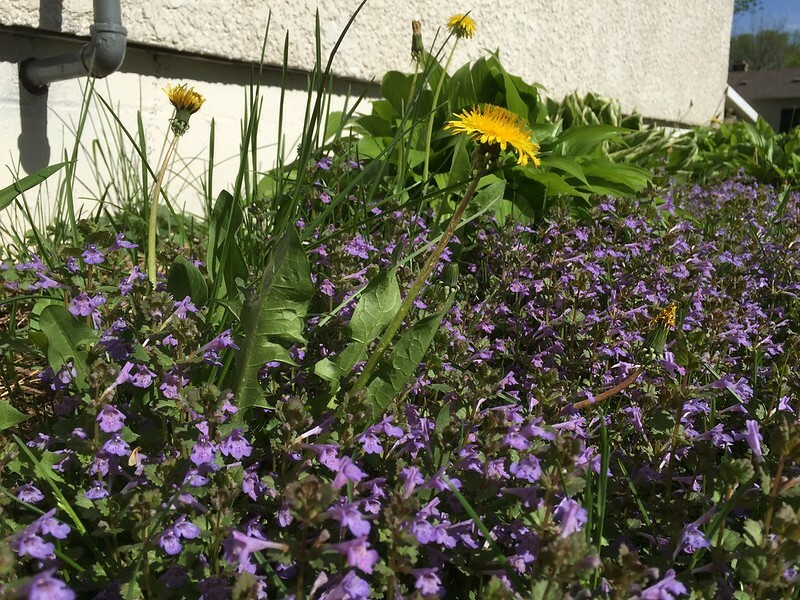 As for Creeping Charlie and dandelions, those reliable messengers of spring, they’ll feed the bees until everything else catches up.